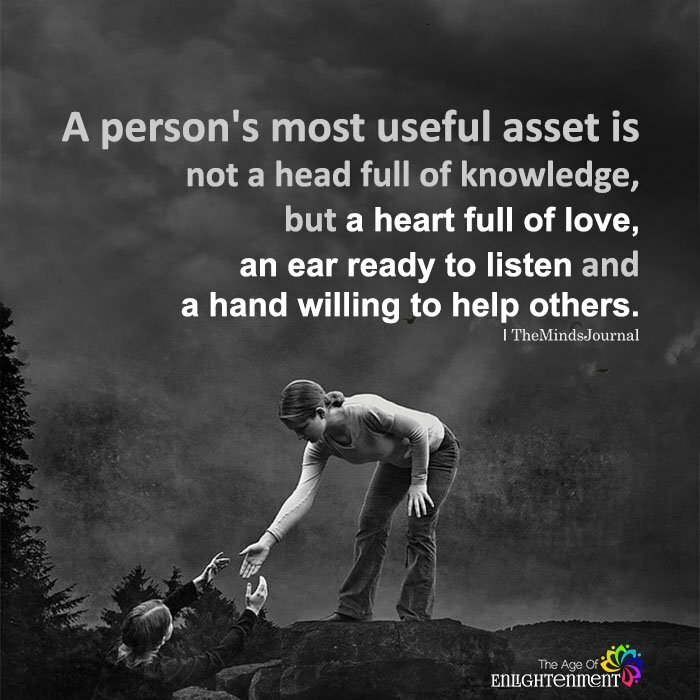 A person’s most useful asset is not a head full of knowledge, but a heart full of love, an ear ready to listen and a hand willing to help others. Imagine listening to everyone, and helping everyone indiscriminately; because their head lacks the knowledge, judgement and wisdom. Slave mentality.